Safe Place is a free, drop-in tutoring program for K-12 students in the Cedar-Riverside neighborhood. We strive to offer all participants a safe, welcoming, supportive and inclusive environment where everyone has access to the help they need. We build meaningful relationships with students and provide them with quality one-on-one homework help and mentoring. At Safe Place, we provide students with tutors who are passionate about forging meaningful relationships with youth and adult participants and helping them to meet their educational goals. To learn more about Safe Place: Homework Help, contact tutoring@trinitylutherancongregation.org or 612-333-2561. 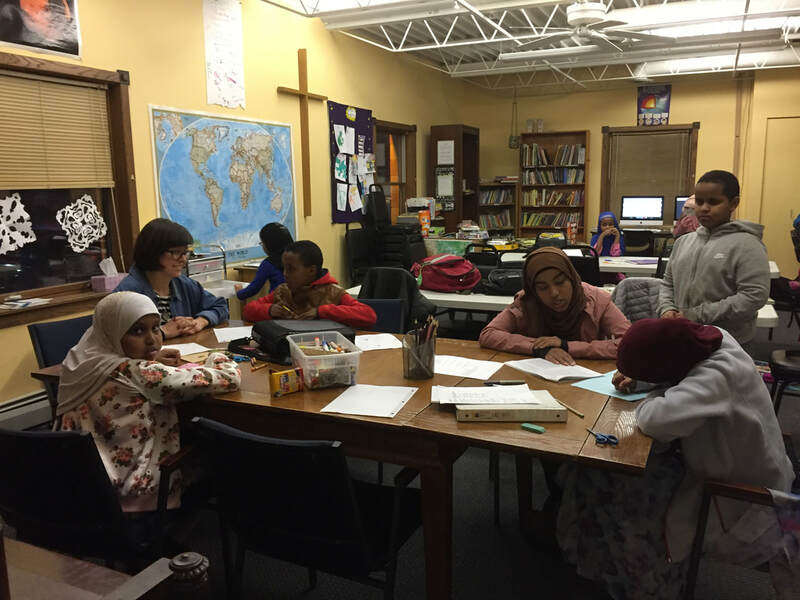 Safe Place: Homework Help is supported by Trinity Lutheran Congregation, a community committed to walking alongside its neighbors of all faiths and backgrounds in Cedar-Riverside. Learn more about Trinity.